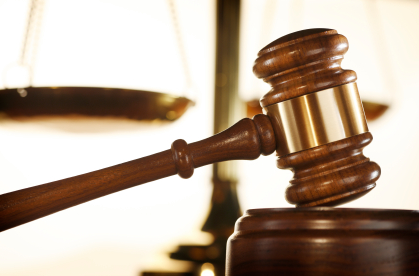 One of the dangers of judging others is we mostly do so without all the facts. In those rare instances when we have the facts, our capacity to make righteous judgment can still be clouded by the absence of empathy. Perhaps this is why God has challenged us to be selective in judgments we make. This inability to judge righteously has clouded our historical view of Emma Smith. Excluding Joseph, I think Emma has received more unfair judgments than any other person in our history. Why has this elect lady been such a lightning rod? The best way to approach this Emma dilemma is to work backwards in time. Emma did not make the trek west with the saints. 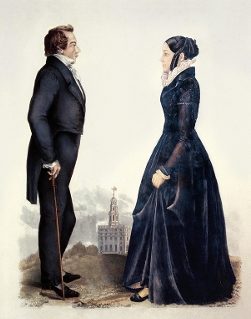 Instead, she remained in Nauvoo and later married Lewis Bidamon, a non-member. 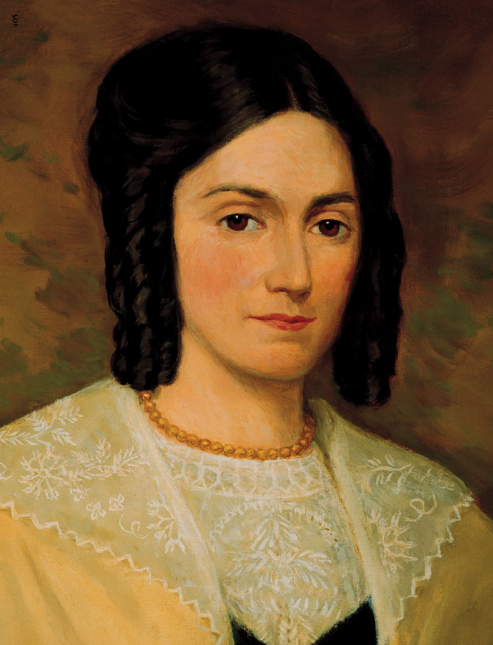 Her decision to stay in Nauvoo stemmed from her personal and legal disagreements with Brigham Young. To be clear, Emma and Brigham saw the world differently. Not only after Joseph’s death, but their personality struggles date back to Kirtland. 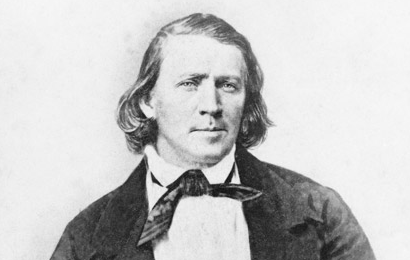 I am convinced the rift between Emma and Brigham was caused by plural marriage. We have no clear perception of how Emma reacted to plural marriage. There are accounts that at times she supported Joseph with this difficult practice. There are also accounts of how plural marriage devastated her. Her ambivalence towards plural marriage may have started as early as 1832 when she paid a high price for this practice. On March 24, 1832, with rumors swirling about plural marriage, Joseph was pulled from the Johnson home in Hiram, OH. 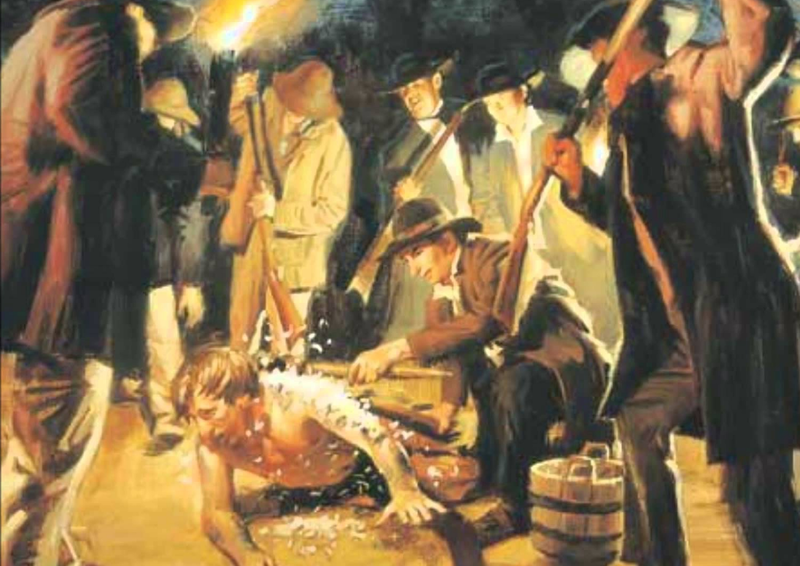 He was beaten, had his flesh torn to shreds, then tarred and feathered. When rescued by Br. Johnson and brought home, Emma fainted when she saw her husband as she was sure he was dead. Then, a few days after the beating, one of Emma and Joseph’s sickly infants died because of exposure to the cold from that awful night. This connection between plural marriage and this tragic death weighed on Emma. While the challenge of plural marriage had a role in Emma’s decision to stay behind, I think a larger part of her decision to break with Brigham was exhaustion. Being married to Joseph was hard. Emma’s parents were never really excited about this marriage. Several of her children died in infancy. As the Prophet’s wife she was under a constant social microscope. Yet, she was at Joseph’s side when life turned against him. She helped with the translation, though was never allowed to see the plates. 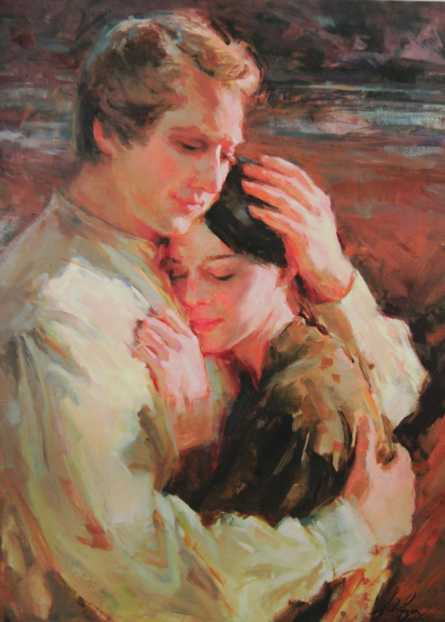 She guided Joseph through the dark days when he lost God’s trust. She saw countless friends turn against her husband. Indeed, this elect lady walked with Brigham and the saints from Missouri to Illinois while her husband was wasting away in Liberty Jail. I am convinced Emma gave everything she had to the Church and to her husband. Though her path may be different, she gave God all. She, like Joseph, will be blessed for her unselfish contribution to God’s kingdom.